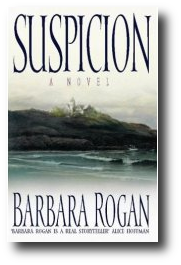 Suspicion came out in the last year of the last century; it’s Barbara Rogan’s sixth novel. After reading two of her other books, Rowing in Eden (1996) and A Dangerous Fiction (2013), I figured it would be another well-written romp—which proved correct. It’s also a nostalgia-free reminder of how the world worked back in the late 1900s, when only a self-selected few carried “portable” phones and when email was tethered to landline phone service. Across the wide divide of Now vs. Then, I can still call up the audio memory—and associated impatience—of dial-up modems. So this novel is a time capsule—not of a simpler world, but of a less connected one. What’s underneath the writing here (and all through the book) is how caught up Emma gets in her fictional world; watching her son play a Saturday soccer match, she’s daydreaming about how his work compares to her own. Her inability to stay “in the moment” eventually leads to a ghostly confrontation that turns out quite differently than expected. As a reader, I enjoy trying to predict a story’s ending—and then learning I’m completely wrong. Throughout this book, Rogan plants plenty of red herrings—especially in what’s left conspicuously unsaid—but all seem like such a logical possibility that they pleasantly distract rather than annoy. Another reason I enjoyed this book was its careful editing, which provides another leap back to Then—this time, in the publishing world. I did spot a couple of easy-to-miss punctuational typos toward the end (missing periods and close-quotes) but the lyrically crafted sentences and carefully polished prose more than made up for those tiny imperfections. All through the book, there was one major and consistent distraction I wish that editor had fixed; multiple “head-jumps,” where the point of view suddenly shifted without warning. 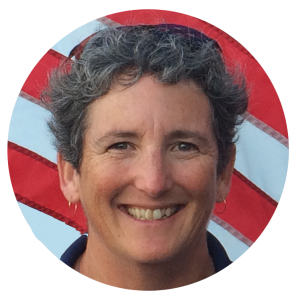 Most of the book was written from Emma’s perspective, but to build tension we also saw the world through her husband’s and son’s eyes. Though each time I figured out what had happened after only a sentence or two, I always had to go back and re-read what was really a transition, in order to relocate myself. Those issues might keep even such an enjoyable book from being published today. I’d recommend this book for readers who like pounding-heart mystery mixed into a normal but forgotten world. It’s also an example of an enjoyable midlist book published before the traditional industry contracted; fortunately, they are still out there for us all to discover. Though also a bit of a time capsule, Barbara Rogan’s website is crowded with tiny insights about her process. Here’s a quote about the idea that originally sparked Suspicion: “With this thought came that little shiver down the spine that marks the conception of a fertile idea, the kind that, if watered and tended daily for a year or two, might grow into a book.” And it did! Thanks for reading. I publish about one review a month and I’m always looking for the next book. Have you read anything you’d recommend? If so, add a comment below explaining why (no spoilers, please) or send me an email. Thanks!